All she wants is food on the table. 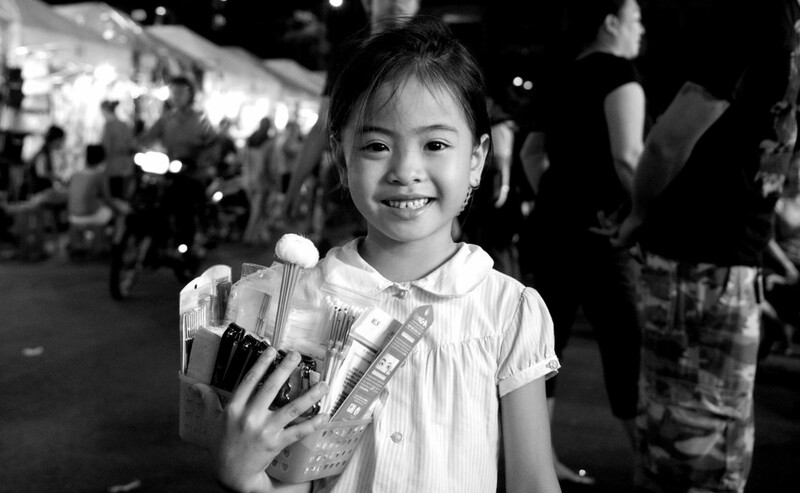 Great smile from a little girl trying to help her family by selling nail clippers. The sad part is that she is doing this around midnight.